Therapeutic goods must be entered by the sponsor in the Australian Register of Therapeutic Goods (ARTG) before they can be legally sold. The purpose is to ensure consumers have some protection against potentially dangerous or fraudulent goods &/or misleading and deceptive claims made about them. Given the TGA’s risk-based regulatory system, the protection provided is greater (but not absolute) for goods the TGA declares high-risk such as prescription pharmaceuticals and implantable devices. The TGA evaluates these goods prior to marketing but the assessment of medical devices is less rigorous than pharmaceuticals and has many flaws as shown by the Implant files. In addition, patient experience post-market may disclose serious adverse events that had not been picked up before the product was launched as shown by the withdrawal of Vioxx (Rofecoxib) and many examples in the Implant files. The protection provided for goods the TGA regards as lower-risk, such as complementary medicines and Class I and II medical devices, is much less. There is no pre-market evaluation. For complementary medicines sponsors merely certify that the product meets legislative requirements: the ingredients are taken from the TGA approved list, they are manufactured under GMP standards and evidence is held for claims made. Similarly, for lower-risk medical devices, sponsors merely certify that the goods meet an essential principles check list. The only additional checks are a limited amount of post-marketing surveillance by the TGA and the complaint process. 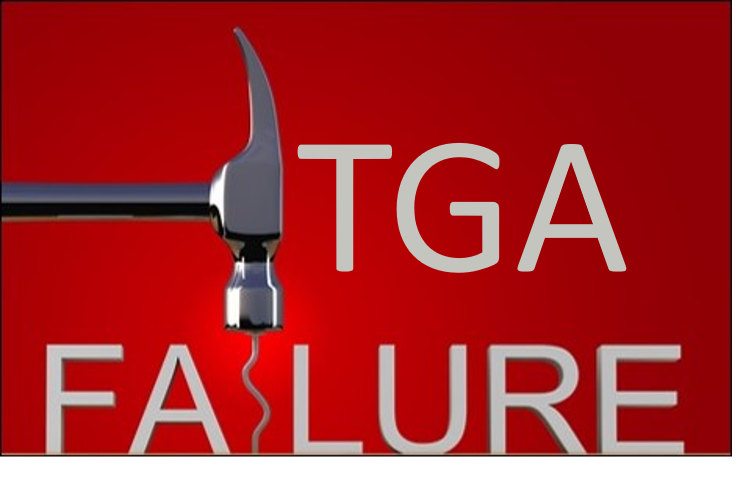 The former has shown high rates of regulatory non-compliance and the latter is flawed by TGA inaction as shown in the cases detailed on December 3, 2018. If a medicine or device is marketed in Australia without going through the above process it is being supplied illegally (a breach of the Therapeutic Goods Act 1989 s.42DL(1)(g)) and the potential for harm is much greater. This is a serious breach of the law and I cannot understand why the TGA has failed to act on the cases appended. The critique by Commissioner Haynes on the regulators of the financial services industry is equally applicable to the TGA. A failure to enforce the law undermines the authority of the regulator whose fundamental responsibility is to do just that. It also encourages others to break the law, leading to a race to the bottom. Cases 1-3 and 6 are illegal imports from the U.S. where the regulation of supplements is even weaker than Australia and adulteration is rife. For example, GNC the country’s largest retailer of supplements, has recently agreed to pay $2.25 million in a settlement with the Department of Justice as part of an ongoing FDA crackdown on supplements that contain hidden drug ingredients, harmful compounds or don’t truthfully list their ingredients. Case 5 is illegal supply of a product containing ingredients listed in Schedule 3, 4 or 8 of the Australian Poisons Standard. Why doesn’t the TGA act? This entry was posted in Complementary medicine, Medical Devices and tagged Adulteration Chinese herbal medicine, ARTG, Ayurvedic medicine, Commissioner Haynes, Failure of TGA to act on illegal supply of goods, GNC, lead poisoning, mercury poisoning, Regulatory Reform, TGA, Therapeutic Goods Act 1989, Therapeutic Goods Advertising Code, U.S. Supplement Regulation. Bookmark the permalink.